Connecticut Water Service, Inc. (NASDAQ:CTWS) was in 6 hedge funds’ portfolio at the end of December. CTWS investors should be aware of an increase in hedge fund interest recently. There were 4 hedge funds in our database with CTWS holdings at the end of the previous quarter. In the eyes of most traders, hedge funds are seen as worthless, old investment tools of yesteryear. While there are over 8000 funds trading at present, we choose to focus on the upper echelon of this group, close to 450 funds. Most estimates calculate that this group oversees the majority of the hedge fund industry’s total asset base, and by watching their top investments, we have come up with a few investment strategies that have historically outstripped the S&P 500 index. Our small-cap hedge fund strategy outpaced the S&P 500 index by 18 percentage points annually for a decade in our back tests, and since we’ve started sharing our picks with our subscribers at the end of August 2012, we have outpaced the S&P 500 index by 24 percentage points in 7 months (see all of our picks from August). Equally as beneficial, positive insider trading sentiment is another way to break down the investments you’re interested in. Obviously, there are lots of motivations for a bullish insider to sell shares of his or her company, but just one, very obvious reason why they would initiate a purchase. Many empirical studies have demonstrated the valuable potential of this method if shareholders understand where to look (learn more here). With these “truths” under our belt, let’s take a peek at the recent action regarding Connecticut Water Service, Inc. (NASDAQ:CTWS). In preparation for this year, a total of 6 of the hedge funds we track held long positions in this stock, a change of 50% from the third quarter. With the smart money’s sentiment swirling, there exists an “upper tier” of key hedge fund managers who were increasing their holdings meaningfully. When looking at the hedgies we track, Summit Global Management, managed by John I. Dickerson, holds the biggest position in Connecticut Water Service, Inc. (NASDAQ:CTWS). Summit Global Management has a $3.2 million position in the stock, comprising 2.8% of its 13F portfolio. 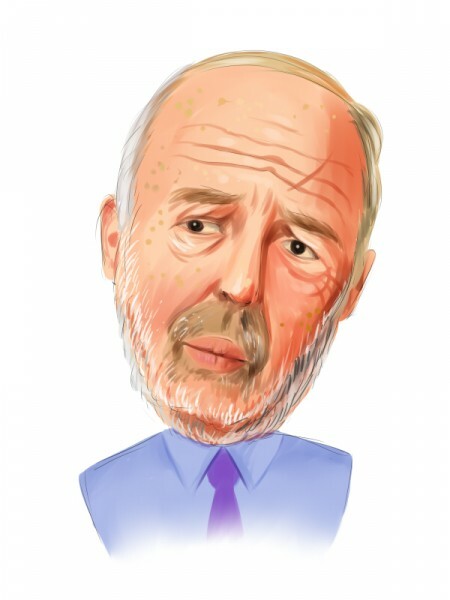 On Summit Global Management’s heels is Jim Simons of Renaissance Technologies, with a $0.7 million position; less than 0.1%% of its 13F portfolio is allocated to the company. Remaining hedgies that are bullish include John Overdeck and David Siegel’s Two Sigma Advisors, Israel Englander’s Millennium Management and Cliff Asness’s AQR Capital Management. As one would reasonably expect, key money managers have jumped into Connecticut Water Service, Inc. (NASDAQ:CTWS) headfirst. Two Sigma Advisors, managed by John Overdeck and David Siegel, assembled the most outsized position in Connecticut Water Service, Inc. (NASDAQ:CTWS). Two Sigma Advisors had 0.6 million invested in the company at the end of the quarter. Israel Englander’s Millennium Management also initiated a $0.6 million position during the quarter. The only other fund with a brand new CTWS position is Cliff Asness’s AQR Capital Management. How are insiders trading Connecticut Water Service, Inc. (NASDAQ:CTWS)? Insider buying is particularly usable when the company in focus has seen transactions within the past six months. Over the latest half-year time period, Connecticut Water Service, Inc. (NASDAQ:CTWS) has seen 1 unique insiders purchasing, and 1 insider sales (see the details of insider trades here). Let’s check out hedge fund and insider activity in other stocks similar to Connecticut Water Service, Inc. (NASDAQ:CTWS). These stocks are Consolidated Water Co. Ltd. (NASDAQ:CWCO), Artesian Resources Corporation (NASDAQ:ARTNA), SJW Corp. (NYSE:SJW), The York Water Company (NASDAQ:YORW), and Middlesex Water Company (NASDAQ:MSEX). All of these stocks are in the water utilities industry and their market caps are closest to CTWS’s market cap. Here is What Hedge Funds Think About FXCM Inc (FXCM) Hedge Funds Are Dumping Greenhill & Co., Inc. (GHL) Is Safeguard Scientifics, Inc (SFE) Going to Burn These Hedge Funds? Arlington Asset Investment Corp (AI): Are Hedge Funds Right About This Stock... Hedge Funds Are Selling The First Marblehead Corporation (FMD) Gamco Investors Inc. (GBL): Insiders Are Buying, Should You?